This listing is for a wedding guest book custom made to your specifications. 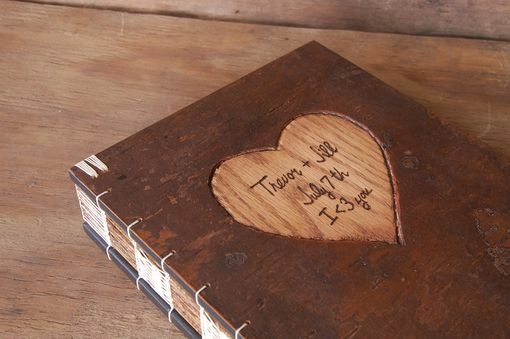 The pictures show a rustic guest book with tree bark covered wood covers. It measures approximately 9 inches high by 7 inches wide with 160 hand torn pages (counting front & back) of medium weight acid free paper. It is sewn with sturdy waxed linen thread complete with headbands and will lay completely flat when open. 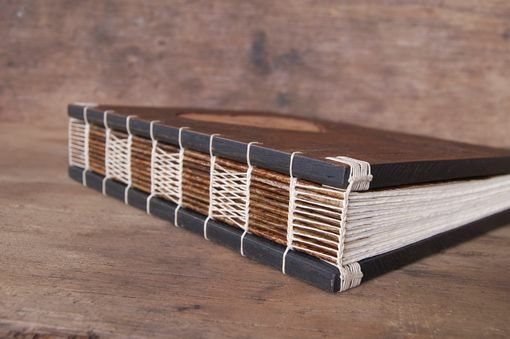 This style book can also be done with white birch bark. The price of this listing is for a book similar to the one pictured. If you would like a different size I will be glad to give you a price quote. Please contact me to get started. 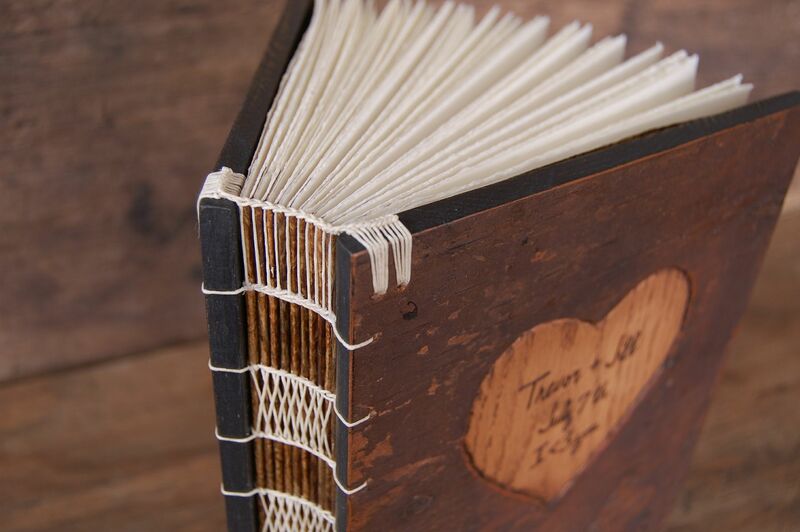 I carefully cut, fold, trim, and stitch all of the elements of these books with skillful attention to detail. The covers are carefully selected and shaped to highlight the natural beauty of the wood. 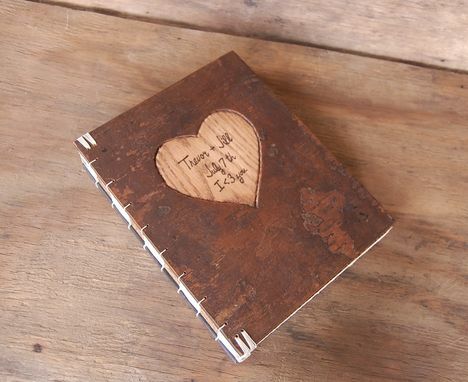 All of my journals are one of a kind creations made with love.